Membership is FREE! 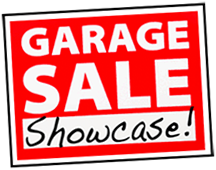 As a Member, you'll be able to have own online garage sale, as well as bid on items without having to verify each bid you submit via email! 6-24 characters, must be unique AND must begin with either a letter or a number . 6-12 characters, must be unique AND must begin with either a letter or a number; letters, numbers, spaces, periods (. ), commas (,), apostrophes ('), dashes (-), pound signs (#), carets (^), asterisks (*), question marks (?) and exclamation points(!) only! Passwords are CASE SENSITIVE!